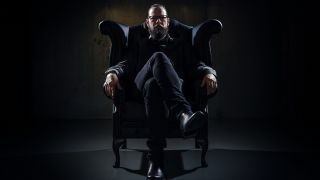 Ihsahn is premiering his new video for Arcana Imperii exclusively with Metal Hammer. Arcana Imperii is the first single to be taken from Ihsahn’s upcoming album Àmr, and features a guitar solo by Opeth’s Fredrik Åkesson. Ihsahn’s forthcoming album Àmr is due to be released on May 4 via Candlelight/Spinefarm.